There’s a lot of talk about foreign brands entering China, but Chinese brands are expanding internationally, too, and at increasingly-high rates. Chinese companies have increased their own international trademark filings by 84% over the last five years, making it the leading exporter of brands among emerging nations. Chinese brands are expanding internationally at a rapidly-growing pace, according to a new report from Thomson Reuters CompuMark, the trademark searching and brand protection arm of the international news agency. 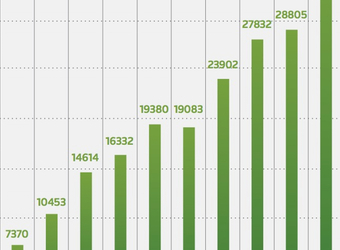 The report, ‘Chinese Brands Go Global: Best Practices for Global Brand Expansion from China’, tracks trends in global trademark activity among Chinese and other international brands over the last 25 years. 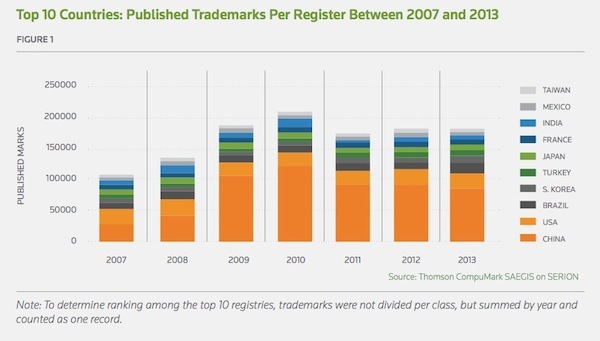 When it comes to tracking global brand trends, few barometers are more reliable than trademark filing data, says Linda Guo, managing director, Thomson Reuters, China IP and Science. “By analysing the broadest and most comprehensive collection of trademark data, Thomson Reuters CompuMark identified a tipping point in the growth of Chinese multinational brands, one that poses enormous potential for business growth over the next several years. It’s no surprise that 73 of the Fortune Global 500 list, featuring the world’s largest companies, are from China,” Guo says. 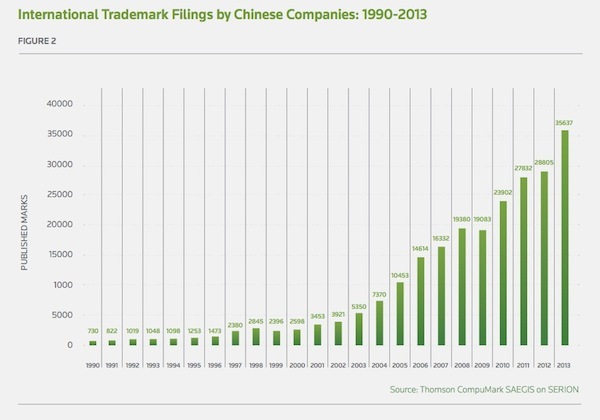 Here’s the history of international trademark filings by Chinese companies since 1990, and below shows China in the top 10 of all countries.